The fate of a ship sent to Palestine by Baron Edmond de Rothschild in the 1890s may finally have been revealed, after researchers identified Monday a wreck off the north shore of Israel as the ship. While the wreckage was discovered off Dor Beach near Zichron Ya'acov in 1976, researchers positively verified its identity Monday. Rothschild, the wealthy French banker and philanthropist, sent three ships in the 1890s to bring raw materials from France to his glass factory in Zichron Ya'acov to help make wine bottles for several nearby wineries that he owned. Rothschild, an ardent Zionist, helped fund early Jewish settlements in the Holy Land, and began the wineries and the glass factory to develop greater industry in the region. But while the first two ships arrived safely at their destination to deliver their cargo, nothing was known for years on the fate of the third. "Records from the time show that two [of the ships] were sold, while no information is listed whatsoever about the third ship," said Deborah Cvikel and Micky Holtzman, maritime researchers at University of Haifa, who led the investigation, in a statement, according to the Jerusalem Post. 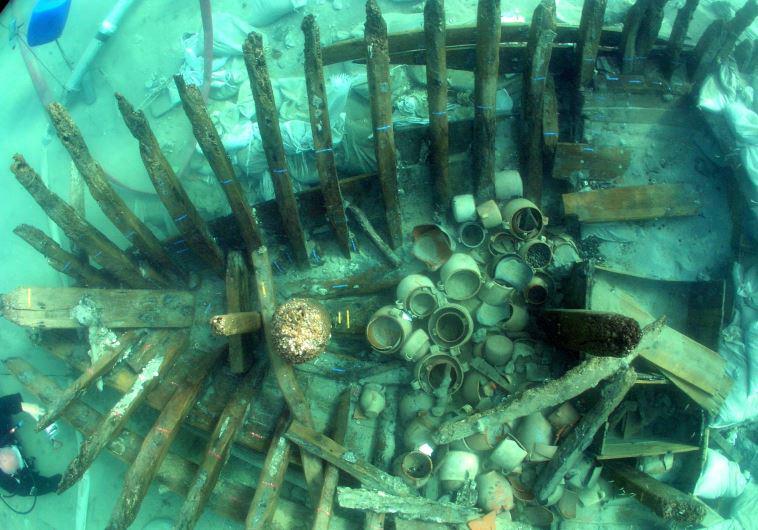 In 1999, archaeologists tried to date the two-masted schooner off Dor Beach, which matched the description of the baron's ships, using carbon-14 dating of the wood, but could only put the shipwreck in a 300-year range, between 1660 and 1960, according to Haaretz. But an investigation in 2008 examining the ship's cargo revealed more positive identifiers – pots, earthenware, ceramic tiles, barrels and crates.